Why should anyone come to the Philippines on a vacation? Check these top reasons and decide for yourself! Why should families, backpackers, honeymooners, or tourists of any kind come to the Philippines on vacation? Many people think that traveling to the Philippines is only for specific types of travelers. Most of the foreigners I met here were backpackers traveling around with nothing but their bag, looking for the best deals on accommodation and attractions. The other kind I usually see in selected places are honeymooners looking for a Maldives like vacation for a fraction of price. Other than that, it's really difficult to spot families or travelers who aren't backpacking and just here for plain sightseeing. I think it's all a matter of being properly informed in terms of what to expect when they come here on vacation. In this post I'm going to give my recommendations for any type of traveler. So keep on reading and prepare to eliminate any doubt you have regarding a future vacation to the Philippines! The big distinction between honeymooners and couples on "just" a romantic vacation is basically the amount of money they're willing to spend. Having that said, what is the perfect destination for couples who don't want to break the bank? Is it possible to enjoy a romantic getaway in the Philippines on a shoestring budget? Of course! My first pick is Malapascua. Though Malapascua is mainly known as a divers' island, it has a stark appeal to people who are on the search for some romance. It is a place that offers unrivaled privacy regardless of the season. Malapascua Island is quiet because it's secluded. Not so many people other than divers go there. And the divers usually go scuba diving all day long, so you can expect the beaches to be mostly empty. There are no cars on Malapascua so you can imagine how different it is from the busy city you come from. There are a few restaurants too. It is worth mentioning some great places like Angelina Restaurant – an awesome Italian restaurant and Ocean Vida – where you can select between international and local classics. There are quite a few boutique resorts in the island where you can enjoy your time together without needing to spend too much. Check this out: Buena Vida Resort & Spa. In this resort you can find everything you might need for a romantic vacation, specialty spa, Jacuzzi, privacy, unique restaurant, and just 200 meters from the beach. That's not bad for only P5000 (about $100)! I don't think I'll be the first to say that the closest you could have to a Maldives like vacation in the Philippines is El Nido, Palawan. But after my visit to the Maldives, I can say that El Nido isn't yet there in terms of service and resorts' level. However it's not falling far behind in these fields and not falling behind at all when it comes to beauty! The private island resorts are just heavenly with just a few cottages on secluded islands and with no outsiders allowed. On the islands you'll find everything you ever wished for on your honeymoon – great food, breathtaking views, white sand beaches and numerous activities like island hopping, diving, kayaking, snorkeling and more. It's really difficult to choose between the islands, and very difficult to come by someone who visited all of them (Miniloc, Matinloc, Lagen, Vellago, Pangulasian, Apulit). In this sense I believe it's best to have a good local travel agency to assist you with that. It will also remove the hardship of coordinating the transfers and the pickups yourself, and there will be someone there to assist you if something goes wrong. Planning your honeymoon with a reliable travel agency will guarantee a great honeymoon experience, and as you're only going to have it once in your life, it might as well be perfect! Also, when I come to think of it, there is one clear advantage to the Philippines over the Maldives. 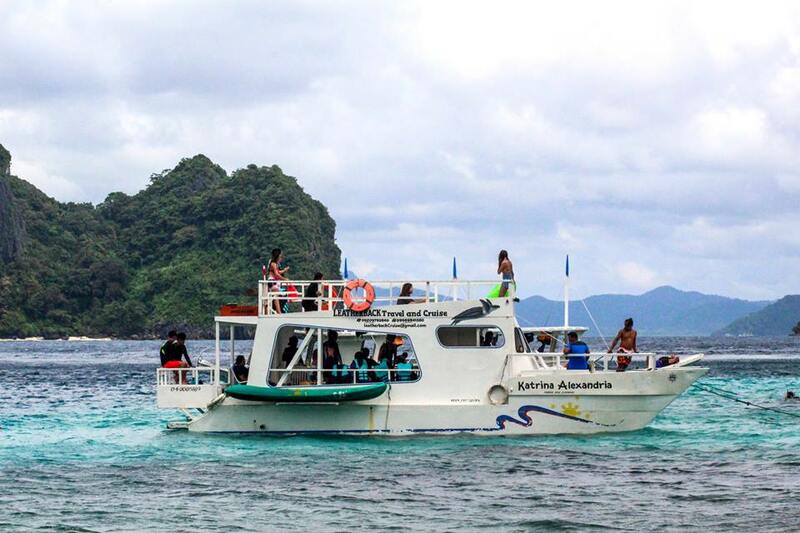 That in El Nido, you're not going to get bored for a second. If you want to go to town for a visit, or just explore the mainland, it's very much possible. There is so much more going on there compared to the Maldives, in which your whole vacation concludes to your resort. Not to mention the lack of night life in the Maldives. There is no definite answer to where is the best place to travel to in the Philippines as a backpacker. All places are actually kind of great for backpacking, so I'll try to define what makes a place appealing to this kind of tourists. I think first and foremost it has to be affordable. After that it needs to have lots of attraction suitable for groups and it needs to have a fun and young atmosphere. The immediate places that come to my mind are Siargao and Moalboal. Both are relatively easy to travel to even on a low budget and are packed with exciting activities and adventures. On top of that, these places are as young as it gets, as their vibrant nature draws tons of young people. Let's talk more about Siargao. If you're on a budget and didn't manage to secure a flight much in advance (a ticket from Manila can be as low as $40 when booked long in advance), there is a very cheap way to get to Siargao. There is a night ferry from Cebu City to Surigao, and then another short one to Siargao. This place is still very cheap compared to other destinations in the Philippines, and one can find a room for P500 only ($10), and a bed in a dorm as low as P250! 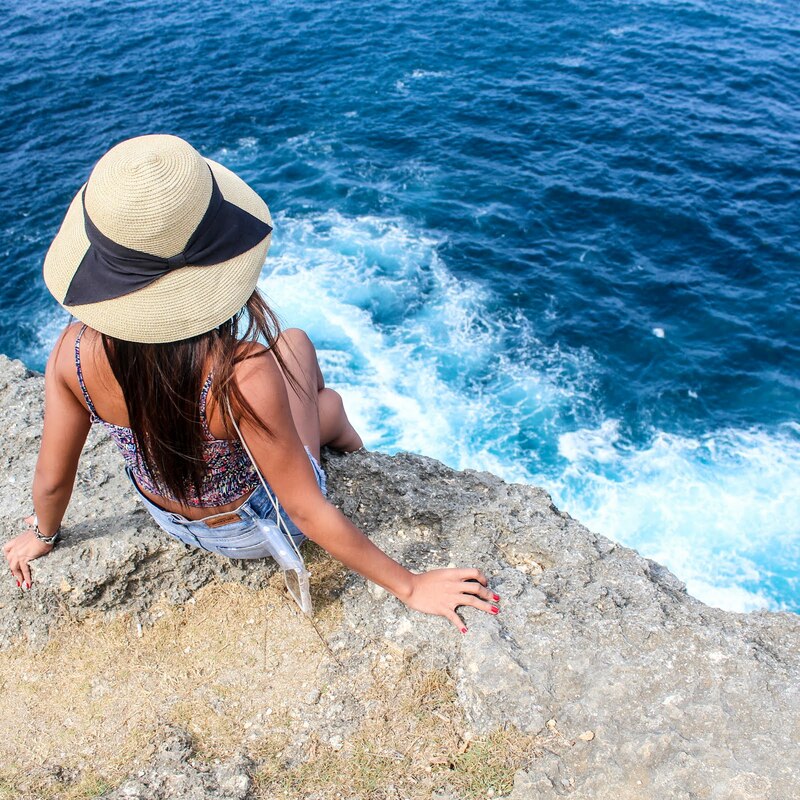 Besides surfing, which is obviously what Siargao is known for, there are so many things you can do there. One is an island hopping tour to probably the most beautiful islands in the Philippines, another is a visit to Sugba Lagoon with stingless jellyfish, and Magpupungko Tidal Pools. This place is just really breathtaking and you better enjoy the low prices while you still can, because it's getting more and more popular! Moalboal is another great place to not miss! And it is pretty much for the same reasons as Siargao. It is young and cheap. One activity that's been very popular among groups is Kawasan Falls, one of the most exciting tours in the Philippines. Moalboal is also among the best snorkeling sites in the country with a dive with sardines as its highlight. What makes it difficult to travel the Philippines as a family, and by that I mean traveling with children, is the commuting. Getting to many places here is just so difficult and painstaking. However some destinations are now made more accessible, with resorts very much suitable for families. One place I can think of is Mactan. What more could you ask for? You land 15-30 minutes from you resort. And once there, you find everything you need - a number of restaurants, pools, and in-house bars for the grown ups. There is also a private beach teeming with water sports and exciting activities both for the young and young at heart! What resorts am I talking about? The Crimson Resort and Bluewater Maribago. These are among the top favorites in Mactan. If you have a YOLO mentality, you can go for Plantation Bay – probably the best resort in Mactan. Which place do I recommend? This is an easy one. Batanes! I think that the best spot for people who like to see a lot on their trip while keeping everything fresh and ultimately unwinding is Batanes. The landscapes are amazing. There are so many places you can trek to and visit. It's also an opportunity to get acquainted to some local cultures with strong presence in Batanes such as the Ivatan. A visit to the lighthouses, Vayang and Marlboro rolling hills, and the deserted stone village is inexplicably fun! With all the activities to do and destinations to visit in the Philippines abounding year-round, it is no doubt any type of traveler could enjoy a vacation here! The beaches, the island tours, the hikes that lead to waterfalls and mountain peaks, the escape to historical cities that offer rich cultural experiences all promise a larger appreciation to the many wonders of the Philippines - be it to backpackers, group travelers, honeymooners or couple travelers. And finally, I want to emphasize there's a bunch of destinations and activities for families too, fun as it ever was! Have you ever been to the Philippines? What activities have you enjoyed or do you want to enjoy here? Let me know your thoughts below! Thank you so much!